This week I am making progress on my Pfeffernuese! All blocks are completed and I am on my way to putting it all together. Taking some vacation from the day job, before we get into our busy holiday season. So hope to get this one complete this week. Wish me luck. I also completed this week, the Sunshine Guild BOM, which is not due until Tuesday Oct 14. It is nice to be ahead for once. I like the choice of the grey for the neutral. Everyone was is supposed to pick a bright batik for the star. I would love to win these blocks! 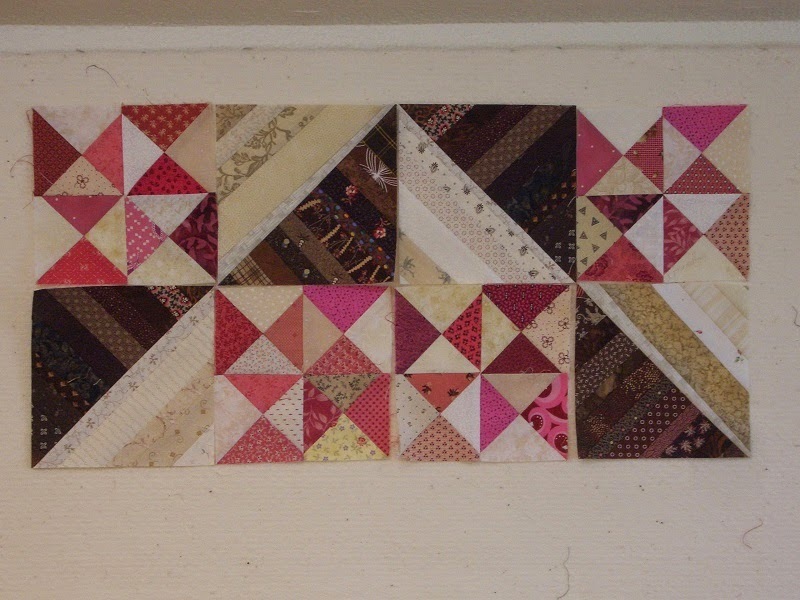 Check out my next post for my UFO finish for September, just in time for the UFO parade at 52 quilts. 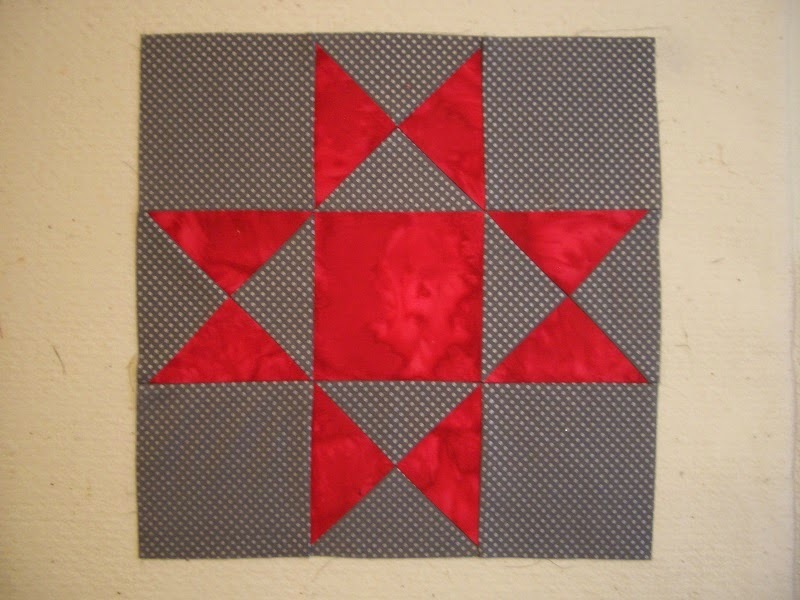 Check out all the other great projects and get inspired at Patchwork Times. There are a few UFOs to complete, then Pfefferneuse is next on my list. There's just something about that quilt I can't resist. There sure is a big difference in the two. Mine blacks/grays/neutrals and greens compared to your brown/neutrals and pinks. I like both variations. Not too many UFOs left yet this year. Anxious to hear what is next. Think I'm going yellow for my BOM.